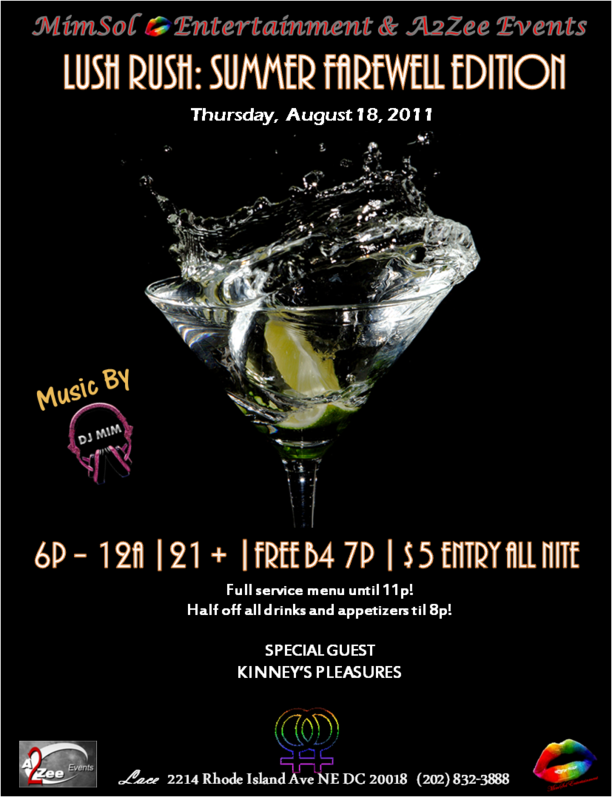 We will also have special guest: Kinney’s Pleasure …with all of her lovely adult toys. This entry was posted in Events and tagged A 2 Zee Events, A2Zee, dj mim, Lace DC, Lace Lounge, Lace Nightclub, lush rush, Lush Rush Happy Hour, MimSol Entertainment, washington dc by MIM Entertainment. Bookmark the permalink.